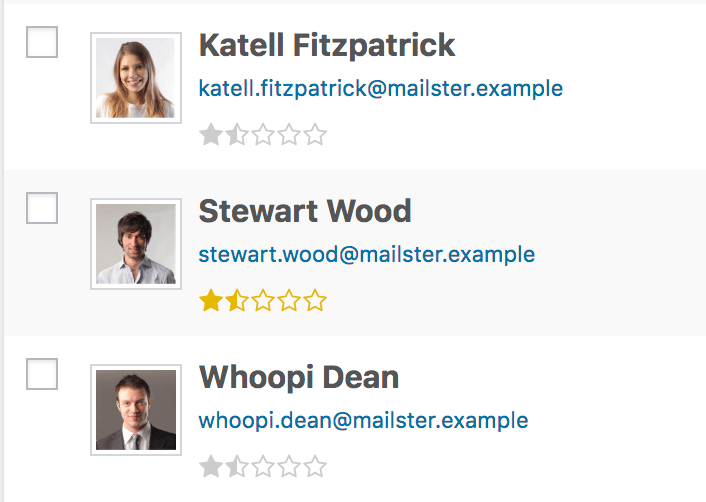 User or Subscriber ratings are a quick way to see the most engaging subscribers in Mailster. While opens and clicks will increase the rating bounces and unsubscribes will decrease the rating. The rating is stored in percentage and can be from 10% ( one half star ) up to 100% ( five stars ). The rating is used to order the sending queue which means subscribers with a higher rating will get the campaign before users with a lower rating. The rating will get applied on the next user interaction!